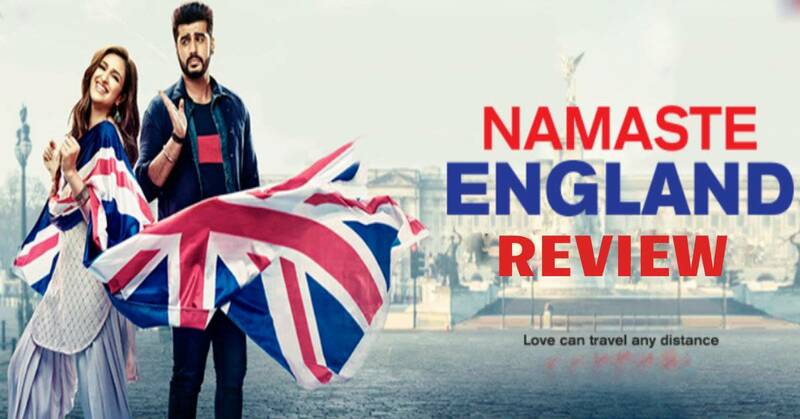 Namaste England Movie Review: An Innocent And Vulnerable Take On The Tribulations Of Love And Ambition! Love is an incomprehensible emotion which leads a person to do often the unimaginable for their loved ones. That does not mean one can needlessly entangle oneself as an illegal immigrant to reach for their loved ones. Namaste England revolves around Param ( Arjun Kapoor) and Jasmeet ( Parineeti Chopra), a couple head over heels in love with each other who get embroiled in one such dilemma. Jasmeet's ambition makes them want to shift to London but this ambitious arrangement soon takes a toll on their marital relationship. The couple take an impulse decision which turns their life upside down and forms the main crux of the story. The message of the story is real but the mediocrity in the direction and story makes it a no show. The plot begins with a fairytale romance of the duo who soon get married. But the girl's ambition forms a hindrance to their happy life. The scenarios are realistic but the screenplay and characterisation is so raw that you do not emphatize with the characters. The first half does not invoke any emotion as the various incidents in the film like Param's inability to get a visa or Jasmeet's desperation to settle abroad seem way too illogical. The lack of interplay between the characters is also visible. The film is shot in some picturesque locales but again the failure to execute the plot and the mood of the film fails to impress. Arjun Kapoor and Parineeti Chopra who have collaborated after Ishaqzaade in this one have a crackling chemistry but their characterization is very poorly shaped which makes us not relate with them at any point. Arjun Kapoor manages to bring out a vulnerability in his character but Parineeti struggles to invoke a particular empathy with her character which is seemingly an embodiment of a modern woman but you are unable to invoke any sense of empathy for her character. Alankrita Sahai and Aditya Seal look impressive and charming in their respective roles but did not have much room to perform. The songs bring out some relief at some points specially tracks like Tere Liye, Bare Bazaar and Dhoom Dhadaka but still lack the charm which the previous prequel Namastey London had. Not to mention, an attempt to recreate the iconic patriotic scene of Akshay Kumar from Namastey London in this one was also disappointing. The film could have been a love story with a gritty message but the poor direction and story makes it a complete no show.